Boxing great Timothy “Desert Storm” Bradley Jr., the former two-division world titleholder and one of the best pound per pound boxers, has agreed to a new multiyear contract extension with ESPN, it was announced today. Under the agreement, Bradley will continue to serve as boxing analyst for Top Rank on ESPN, alongside Joe Tessitore and Mark Kriegel. Bradley held five world championships in two weight classes. He retired in 2017, finishing his career with a record of 33-2-1, with 13 of his victories by way of knockouts. He won his first world title fight, light welterweight, in 2008 when he upset champion Junior Witter in England. In 2009, he fought Kendall Holt to unify his WBC and Holt’s WBO titles, winning the fight by unanimous decision and becoming the new WBO champion. 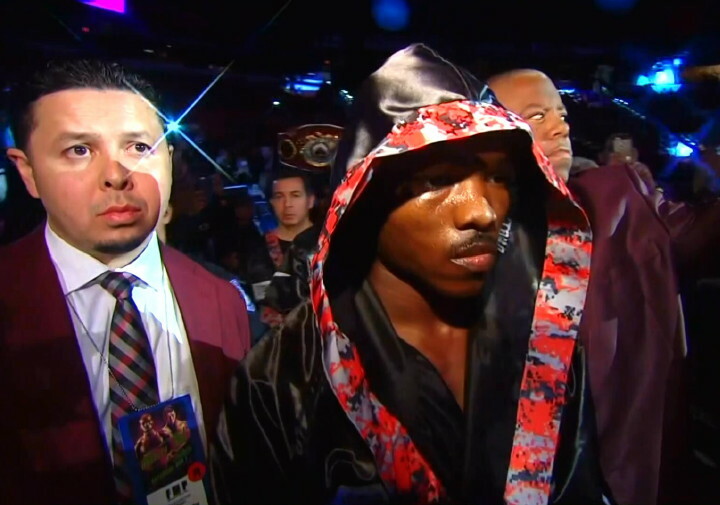 In 2011, Bradley had his most notable win up until that point of his career, when he defended his WBO junior welterweight title in a unification fight against then undefeated Jr. welterweight champion Devon Alexander. In 2012, he defended his WBO junior welterweight title against former lightweight Joel Casamayor and later moved up to welterweight to claim Manny Pacquiao’s welterweight belt, defending the title in a fight with Ruslan Provodnikov in 2013. Seven months later, he defeated junior lightweight and WBO junior welterweight champion Juan Manuel Márquez by split decision. Bradley is particularly known for his trilogy of fights against the then unstoppable Manny Pacquiao, whom he fought in 2012, defeating him in their first of three fights. They faced off again in 2014 and 2016, with Bradley losing the next two bouts by decision. From Palm Springs, Calif., Bradley began training as a professional boxer in his late teens. In 2004, at the age of 21, Bradley fought Francisco Martinez in his first professional fight, which he won in the second round by knockout. This Saturday, June 30, Bradley will be onsite at the Chesapeake Energy Arena in Oklahoma City, alongside Tessitore and Kriegel for ESPN’s telecast of Top Rank on ESPN headlined by WBO super middleweight champion Gilberto “Zurdo” Ramirez who is defending his title against Alexis Angulo. The event will be televised live on ESPN and ESPN Deportes at 9 p.m. ET, while undercard action will stream live and exclusively in the United States on ESPN+ starting at 6:00 p.m. ET. ESPN+ is the recently launched multi-sport, direct-to-consumer subscription streaming service from The Walt Disney Company’s Direct-to-Consumer & International segment in conjunction with ESPN.